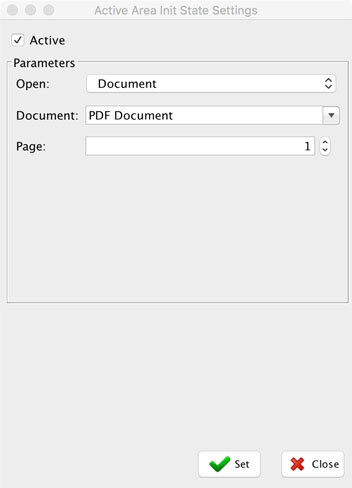 With this powerful function, you can link documents with your project. For example, you can link user manuals with components on the HMI screen, or you can attach a schema or picture to your project. As a result, you will have a complete project consisting of HMI screens and linked documentation files in one package. You can attach any documents directly to your project by using the function Import Document. Note that all attached documents must be in a PDF format! 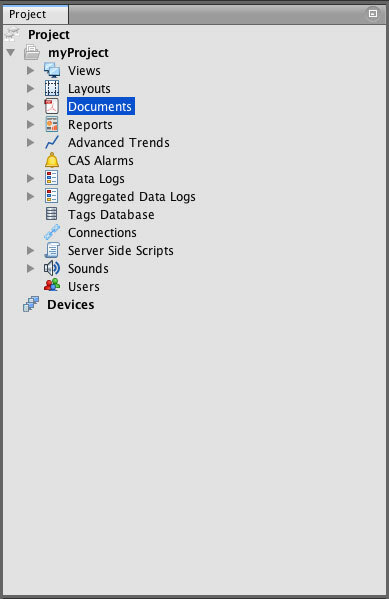 Click on the Import document icon in the main menu or right-click on the Documents in the Project Window menu and then select Import. Once your documents are imported into your project, you can link them with any object on HMI screens. This can be done with the Open command function. Please select the graphical object you would like to use to open a document. You can find more info about open command in the chapter Open Command.